Sam Walton's passions included flying his own plane over the American countryside, hunting with his dogs, and sharing his good fortune with his family. But Walton will always be best remembered for his lifelong passion for providing low prices and good service to customers at Wal-Mart, his chain of discount stores that revolutionized the retail industry. Walton did not invent the discount store when he opened his first store in 1962. But he did do something new. Wal-Mart introduced the concept of selling a large number of items at cheap prices to residents of rural towns—customers other discount retailers ignored. From that base, Walton expanded Wal-Mart across the United States and eventually reached into foreign markets, using the latest technology to keep costs low. Along the way, Walton became a billionaire, but one who never forgot his roots and who always remembered to put the customer first. "I think I overcame every single one of my shortcomings by the sheer passion I brought to my work.… If you love your work, you'll be out there every day trying to do it the best you possibly can." Sam Moore Walton was born on March 29, 1918, in Kingfisher, Oklahoma, the oldest son of Thomas and Nancy Walton. Sam and his younger brother James (called Bud) spent most of their childhoods in Missouri, living in several different towns. In October 1929, when Sam was eleven, prices of the stocks sold on the New York Stock Exchange crashed. This economic downfall wiped out the fortunes of many Americans who had bought stocks on credit during the so-called Roaring Twenties. In the Great Depression that followed, millions of people lost their jobs and faced poverty for the first time in their lives. Compared with many families, the Waltons were lucky. Thomas Walton almost always had a job working for his brother's mortgage company. Sam added to the family's income by delivering newspapers and helping his mother run a small milk business she started with a few cows. 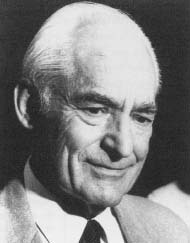 In his autobiography Sam Walton: Made in America, Walton wrote, "We learned how much hard work it took to get your hands on a dollar, and that when you did it was worth something." A star athlete at Hickman High School in Columbia, Missouri, Walton was also a Boy Scout, class president, and active in several clubs. After graduating in 1936, he stayed in Columbia and entered the University of Missouri, where he earned a degree in economics. During his college years, Walton continued working hard, waiting tables and expanding his newspaper delivery service. He took on more routes and hired helpers—his first taste of running his own business. In 1940, Walton took his first full-time job, joining the department-store company J. C. Penney as a management trainee. After eighteen months with the company, he was drafted into the U.S. Army and served as a communications officer during World War 11 (1939-45). In 1943, he married Helen Robson, whom he had met while he was stationed in Oklahoma. With his newspaper business, Sam Walton made between $4,000 and $5,000 a year while still in college. Walton called that "fairly serious money" given that the United States was still in the throes of the Great Depression. When the war ended in 1945, Walton was ready to resume his career in retail. This time, however, he wanted to be the boss. With some of his own money plus $20,000 borrowed from his father-in-law, Walton bought a Ben Franklin variety store in Newport, Arkansas. His brother Bud helped run the store. As part of a franchise, Walton had to follow the company's rules, but he found ways to act on his own and lower his costs. He bought some goods directly from the manufacturers or distributors, rather than going through Ben Franklin. As he recalled in his autobiography, "I'd bring them back, price them low, and just blow that stuff out the store." Walton made his store the most profitable Ben Franklin in the region, but in 1950 his landlord refused to renew his lease and the store closed. Walton then bought a new store in Bentonville, Arkansas. He called it Walton's Five and Dime, although it was still part of the Ben Franklin chain. His friendly manner and eye for bargains kept his customers happy and helped him duplicate his earlier success in Newport. Two years later, Walton opened a second store, and he slowly added others in neighboring states. In 1962, Walton opened his first Wal-Mart store, turning from five-and-dime retailing to selling brand-name goods at discount prices. Walton built his base in the same kind of rural towns he had lived in as a child. At first, Walton chose these locations out of necessity, since it was cheaper to build in rural areas. Soon, however, Walton made the rural locations part of his strategy. From his small plane, he flew over the South and Midwest, scouting for new sites for Wal-Marts. "From up in the air," Walton wrote in his autobiography, "we could check out traffic flows, see which way cities and towns were growing, and evaluate the location of competition—if there was any." Walton became famous for his innovations, such as the air flights and using computers to track inventory. But Walton always kept his focus on the key element of retail sales: people. Wal-Mart needed loyal workers to sell its goods and loyal customers to buy them. Walton believed in sharing profits with his employees and offering them company stock at discounts. Always down-to-earth, even as his own fortune grew, Walton became known as "Mr. Sam" to his employees. He visited his stores regularly to watch operations and inspire his workers. According to the company Web site, in 1975 he introduced the Wal-Mart cheer: employees spelled out the company name one letter at a time, then finished with the shout, "Who's number one? The customer, always!" The Wal-Mart cheer illustrates Walton's devotion to the customer. He believed providing low prices every day was one way to keep customers happy. But so was greeting them at the door and making sure the sales staff was always ready to offer assistance. "Give [customers] what they want," Walton said, "—and a little more." Sam Walton was quick to admit that he had a lot of help building his retail empire. Two of the most important people in his life were his wife Helen and his brother Bud. Like Sam Walton, Helen was ambitious and felt strongly about how things should be done. She had a degree in finance, and her father ran a successful business. After helping Sam start his first retail stores, Helen willingly put up the family's assets to help launch Wal-Mart. Walton credits his wife with the idea of sharing profits with Wal-Mart employees. After Sam's death, Helen continued her husband's charitable work through the Walton Family Foundation. Bud Walton, three years younger than Sam, worked next to his brother at Walton's first store in Newport, Arkansas, helping to wash windows and stock shelves. Bud later went into retail on his own, but soon he and Sam were partners in a Ben Franklin store in Missouri. The brothers continued to open more store together, and Bud invested a small amount in the first Wal-Mart store. Like Sam, Bud became wealthy from this investment. He died in Florida in 1995. As Wal-Mart grew, so did Walton's wealth. By the 1980s, his family's stock in the company was worth more than $20 billion, and Forbes magazine called Walton the richest person in the United States. But Walton, who still enjoyed flying his own small plane and driving a pick-up truck, did not appreciate the attention he received. He realized, however, that money gave him the opportunity to help others. The Walton family donated money to schools, church groups, and other charitable causes. But Walton's impact went far beyond his wealth. Other retailers copied his formula, and he was compared to Henry Ford (see Ford Motor Company entry) as one of the leading American entrepreneurs, or self-made business owners, of the twentieth century. After a two-year struggle with cancer, Sam Walton died in 1992. One of his four children, Rob Walton, took over as chairman of the board at Wal-Mart, and the Walton family still owns a large share of the company's stock. Walton is remembered for turning Wal-Mart into one of the largest U.S. corporations, and his methods are used in stores around the world. Vance, Sandra S., and Scott, Roy V. Wal-Mart: A History of Sam Walton's Retail Phenomenon. New York: Twayne Publishers, 1994. Walton, Sam, with John Huey. Sam Walton, Made in America. New York: Doubleday, 1992. Huey, John. "Discounting Dynamo." Time (December 7, 1998): p. 196. Katz, Nancie L. "Vermonters Dig in Heels to Stifle 'Sprawl-Mart.'" Newsday (August 15, 1993): p. 72. Lord, Lewis. "The Man Who Moved Main Street." U. S. News & World Report (April 20, 1992): p. 8. Rushe, Dominic. "Wal-Martians." The Sunday Times June 10, 2001). Wal-Mart Stores, Inc. [On-line] http://www.walmartstores.com (accessed on August 16, 2002). "Wal-Mart Watch." [On-line] http://www.walmartwatch.com (accessed on August 16, 2002). Record in 1936 AT Hickman High Columbia, Mo.